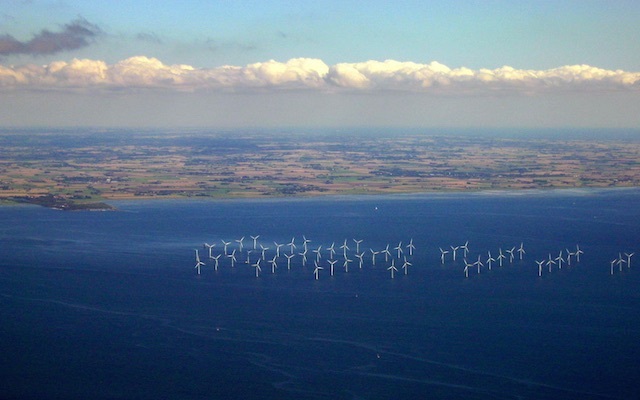 Tiny clean energy powered Sweden is already second in the world in wind power per capita. Sweden has almost 500 MW of wind, split between only 10 million people, so each person has almost half a kilowatt just of wind, if apportioned on a per person basis. For comparison, an average solar roof for a home is from around 2 kilowatts (if a frugal and sunny Australian home) up to about 12 kilowatts (if an extravagant mansion in cloudy Massachusetts). China leads the world in total built wind capacity, with some 181 GW as of the end of 2014, with the US in second place with 65 GW. But both these nations obviously have many more inhabitants than tiny Sweden with its ten million. So to supply this much wind power per person represents about 25% of an average home’s needs (if in Australia) to 4% of a Massachusetts example. But wind is not Sweden’s biggest success story! That belongs to a brilliant but still under-appreciated form of renewable energy developed out of necessity in the early years of the 20th century. Sweden has a very high per capita energy use, about 15,000 kWh per year, in main due to its location in the Arctic Circle. So for 6 months a year, it is not just bitterly cold in winter, but it only gets light after about 9 in the morning and it is dark once more by 3 in the afternoon – for 6 months. As you can imagine, winters like these would raise the energy use of any country. Sweden has some of the highest energy use in the world. And so solar power is relatively impractical in a country with barely 5 hours of light in winter. How Sweden addressed the huge challenge for nation that operates 6 months a year in the freezing dark. One of the most significant clean energy moves that Sweden has made is in district heating; sharing the surplus steam heat created from burning wood pellets or from industrial cogeneration in pipes that are run under cities, to supply steam for radiators in multi story buildings. More than half the energy needed to keep all the buildings in Swedish cities warm through those long months of cold and dark is supplied by district heating. This is an oldie but goodie – a renewable energy idea that was developed about the time of geothermal and hydroelectric power development. 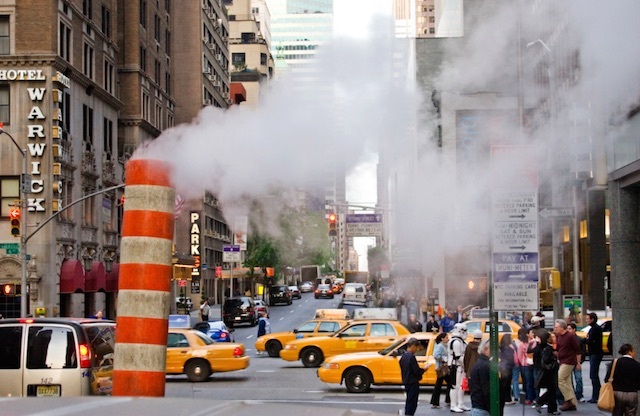 District heating has had radiators hissing in downtown Manhattan since the beginning of the 20th century, warming loft dwellers from Wall Street to SoHo and Tribecca. But while only one city in America uses district heating; every city in Sweden is heated this way. Another thing that made a difference in Sweden was its early adoption of a carbon tax. This mostly impacted driving choices and has been responsible for a surge in “biofueled” driving in Sweden. Rather than corn-based ethanol, Sweden’s biofuels are all waste-based biofuels: made by capturing methane gas from industrial processing of pigparts, liquor and even sewage. So slaughterhouse waste, human sewage, animal waste, and even confiscated liquor goes into a brew heated to 70 C for anaerobic bacteria to feast on for a month. The final product is virtually odorless, creates a nutrient-rich residue that can be used as soil or construction materials, and slashes vehicle carbon emissions an astounding 95%. Almost 80% of Sweden’s electricity is already generated from non-fossil fuel energy sources, between hydro power and nuclear power, and 95% of its renewable power is hydroelectric. From this excellent start, Sweden has now announced that it is committed to supply 100% of its energy from renewables. However, its government plans to shut its nuclear plants down, like many European nations; in response to Fukushima, despite being a well regulated democracy with no corruption (which is what could make nuclear unsafe, by short-circuting oversight) and with good oversight of nuclear waste disposal. An earthquake and tsunami caused a meltdown at Fukushima, and in response, many governments bowed to pressure and planned reductions in nuclear power,despite not being exposed to earthquakes or tsunamis. A premature shutdown of Swedish nuclear power is likely to lead to 2 billion tons of carbon that would otherwise been avoided; writes climate scientist James Hansen. Shutting off all its nuclear certainly will add to the challenge of going 100% renewable. Swedes have long been of two minds about nuclear power. In 1980, its Parliament voted to phase it out. Thirty years later, in 2010, it repealed this phase-out and instead, it upgraded the existing reactors; adding 1.6 GW of additional nuclear capacity. So it is possible that Sweden will reverse course on nuclear power once again. However, even if this nation does shut down all of its 9.5 gigawatts (GW) of nuclear power it will still be starting from a base of being 40% supplied by renewable power from hydroelectricity. So, it will be looking at the other 60% of its current demand of 152 terawatt hours (TWh). And while solar is impractical, it has abundant and – so far; relatively unexploited – additional wind potential. In 2009 the Swedish Government had set a planning frame of 30 TWh generated from wind by 2020, with two thirds of that onshore (20 TWh) and 10 TWh offshore. Just two years ago, in 2013, wind was providing only 10 TWh towards Sweden’s total demand of 152 TWh of electricity. Yet just a few months ago, in a record, its now 5.5 GW of wind farms supplied more power to Sweden’s grid than its 9.5 GW of nuclear power, putting wind power in second place after hydro. Sweden also shares a grid with neighboring Denmark; a wind superpower; now exporting wind power to Germany and Norway, as well as Sweden. So part of its clean energy also comes from imports. However, this grid sharing also works both ways, and is an excellent way to grow renewables. So when the wind dies down in Denmark or Germany, Sweden has been supplying fossil free power from hydroelectricity or nuclear power to its neighbors. And for a nation that promptly cut its carbon emissions after signing the Kyoto Accord by 9%, largely exceeding the target set by the Kyoto Protocol, while enjoying economic growth of 44% in fixed prices – if any nation can do it, Sweden can. Klimatkrisen – solved.